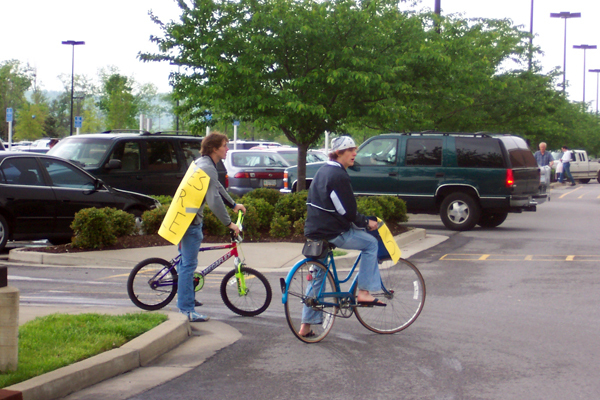 These kids were getting a lot of attention riding around the Walmart parking lot. 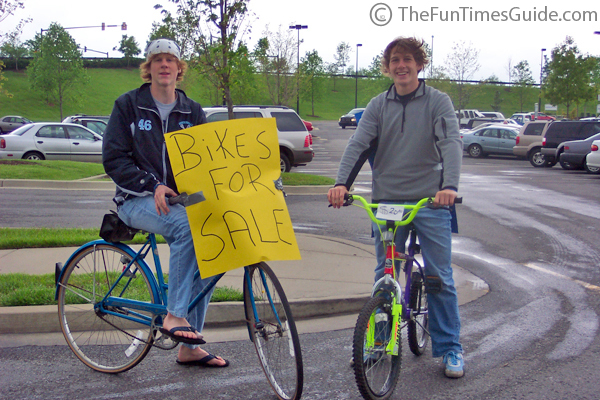 …That is until you got close enough to read the handmade signs they were wearing: “Bikes For Sale”. They were actually encouraging everyone they saw to drive up the hill to the High School parking lot where a huge craft & yard sale was taking place — a fundraiser for the school. They would ride their bikes (which were “officially” for sale) from the High School, down the hill to the Walmart — and back. They did this for hours on end. Not sure if they actually sold the bikes or not, but they sure got a lot of attention, and probably boosted the attendance at the craft & yard sale. …Props to the creative kids at Centennial High School!! !